We enjoyed the Rivercat so much that we’ve taken two more ferries, one around Scotland Island from Church Point and one to the Basin from Palm Beach. Pittwater smells of salt and diesel, the smell of my childhood. There are cormorants and kookaburras, gulls and jellies. I grew up on stories about brumbies, by Mary Elwyn Patchett and Elyne Mitchell. In them, the wild horse is as much a part of the bush as the possum and the kangaroo. It took me decades to recognize this as a way for white people to lay claim to what wasn’t theirs. When I revisited Patchett hoping to read her books to the kids, I was appalled by her racism. Mitchell’s father was Harry Chauvel of the charge on Beersheba. Both writers are immersed and complicit in the white supremacist, militarized, settler-colonialist narrative that Evelyn Araluen describes in her essay. Even my beloved Swallows and Amazons, with its naval officer father and its mother who grew up sailing on Sydney Harbour, instructs children in exploration, mapping and conquest. Maybe Westerners can’t have innocent pleasures. There is nothing – absolutely nothing – half so much worth questioning as simply messing about in boats. Do you want empires? Because that’s how you get empires. 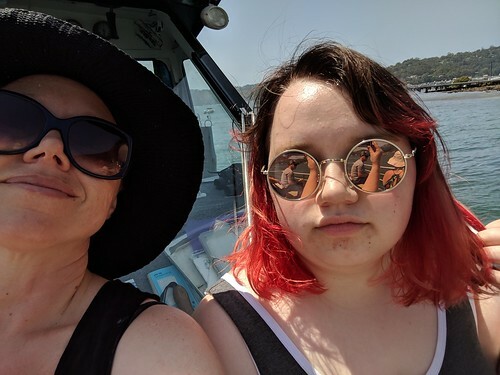 This entry was posted on Thursday, February 21st, 2019 at 2:41 am and is filed under australia, bookmaggot, children, grief, horses are pretty, mindfulness, politics, ranty. You can follow any responses to this entry through the RSS 2.0 feed. Both comments and pings are currently closed.